Online Power & Gas shut down in May 2017. It is not taking any new customers and existing customers have been transferred to 1st Energy. 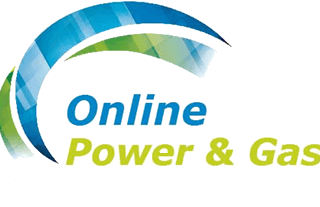 Online Power & Gas is a 100% Australian-owned online retailer, selling electricity to homes and businesses across Victoria. Despite its name, Online Power & Gas does not sell gas at this time. Online Power and Gas says it’s committed to providing customers with a transparent and empowering energy retail experience. Its online business model also means it has reduced overhead costs, resulting in savings that it claims to pass on to its customers. Online Power & Gas has three residential electricity market offers: Fixed Saver, Contract Saver and Flexi Saver. Fixed Saver: Labelled as ‘best choice’, this deal includes a 35% pay-on-time discount on market usage rates for a two year benefit period. Customers on this plan are charged via direct debit and there’s a $22 exit fee for ending the contract early. Contract Saver: This deal has a 30% discount on market usage rates when customers pay on time, again for a two year benefit period. Unlike the fixed saver, this deal has no exit fees and customers have flexible payment options. Flexi Saver: This deal has a smaller 28% discount, however it won’t disappear after two years like its other plans. Instead, you receive this discount for as long as you remain with Online Power and Gas. There are no exit fees and customers have flexible payment options. Customers should note however, that according to the energy price fact sheets of these products, the discounts described will not apply to the final quarterly bill. Online Power & Gas has some great discounts, but does that translate to great savings? To find out, we calculated the average quarterly bill of a typical five-person household on a single rate electricity tariff that is signed up to this retailer’s highest discounted plan – the Fixed Saver. The below calculation use Online Power & Gas rates effective of 6 May 2017 for the CitiPower network. Costs based on annual usage calculations broken down into quarterly payments. Calculations based on statistics from AER for a five-person household on the Citipower network. May 2017. This calculations show that In light of its rate increases on May 6, Online Power & Gas works out to be one of the more expensive electricity retailers when compared to other brands. The rates used in this calculation are for the Citipower network and prices may be different for households connected to a different distributor. Keep in mind that these prices are purely indicative and you should contact Online Power & Gas directly if you have any queries. If you find a cheaper deal, Online Power & Gas will do its best to try match it. Online Power & Gas make billing simple with five easy options. Direct Debit – Organise for bills to be automatically paid out of your account. Directed Debit is compulsory for customers on the Fixed Saver product. Online – Customers can sign in to ‘My Account’ to easily pay their bill online. Phone – Give Online Power & Gas a call to pay over the phone. Mail – Like doing things the old-fashioned way? Mail a cheque or money order to the registered office of Online Power & Gas. My Account can be accessed from your computer or mobile, making it a convenient way to keep up to date with your electricity account. Is Online Power & Gas right for me? Online Power & Gas claim to have exceptional customer service, so if that’s important to you, Online Power & Gas could be a great choice of electricity retailer. Its My Account Service is also a great way to keep up to date with your bills and track your daily electricity usage. As we’ve noted however, it doesn’t seem as though Online Power & Gas is as cheap as many other electricity retailers we have seen. Whether Online Power & Gas is right for you will of course be influenced by your personal preference – weigh up what you prefer, service or price.